Many parents of typical children refer to their children's' tantrums as "meltdowns." The word meltdown, of course, comes from the catastrophic, dangerous exposure of radioactive material in a nuclear power plant—and few typical temper tantrums rise to that level of intensity. Autistic meltdowns, however, come closer to the original meaning of the term. In addition, autistic meltdowns have specific qualities that make them different from the average temper tantrum. Not limited to young children. 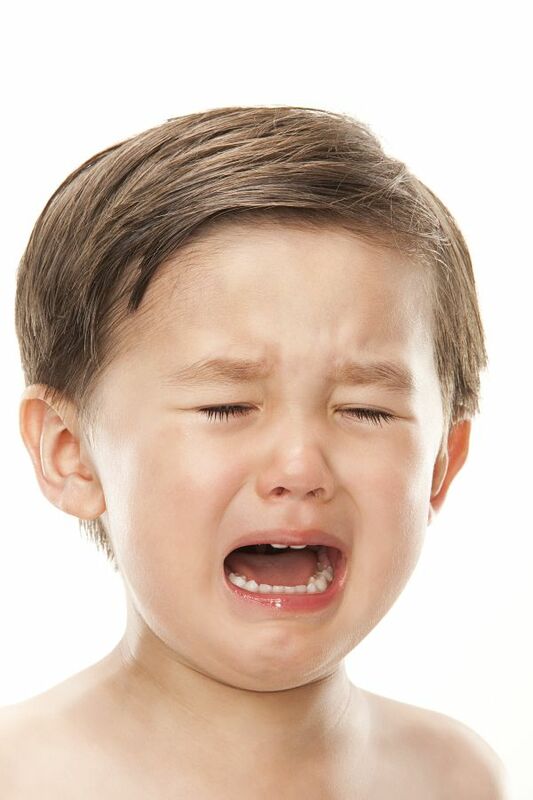 Autistic meltdowns are not limited to young children on the spectrum. Tweens, teens, and even adults with autism may have meltdowns and, surprisingly, they may occur even among individuals with high functioning forms of autism. Are preceded by signs of distress. Autistic meltdowns generally begin with warning signals called "rumblings." Rumblings are outward signs of distress that can be quite obvious or somewhat subtle. Rumblings might start with a verbal plea to "go now," or visually obvious signs of distress such as hands over the ears. May involve intense "stimming." Rumblings may include or progress to "stims" (self-stimulatory behaviors, such as rocking, pacing, or finger flicking) or other signs of anxiety. Stims are self-calming techniques used by people with autism to help regulate anxiety or sensory input. If you see a person with autism rocking back and forth, pacing, or otherwise "stimming," there's a good chance that he or she is feeling stressed (though it's also possible that he or she is just excited). Do not have a purpose. Typical tantrums are often manipulative: a child learns that he will get what he wants if he cries or screams—and so he cries and screams. Autistic tantrums are not manipulative: they are genuine cries of distress. If "rumblings" are warning signals, then bolting or intense stimming can be seen as the emergency siren. Bolting, which is more common among very young children or older people with severe autism, means running away. A person with autism, faced with overwhelming sensory input, anxiety, or stress, may just run from the room. While this is a great coping mechanism, it can become very dangerous when the person doing the bolting is unaware of issues such as oncoming traffic. Intense stimming, such as high energy rocking, slamming the hand into the forehead, or other obvious signs of agitation, mean a meltdown is imminent. It's important to be aware that rumblings are a response to stress and/or sensory overload and not a form of manipulation. While a typical child might tantrum in order to embarrass or upset a parent (with the goal of getting their own way), children with autism rarely have the "mind-reading" tools to intentionally manipulate another person's emotions. When a child (or adult) with autism has gotten to the rumbling stage, it may be possible to intervene before a meltdown begins. For example, a child who is overwhelmed by the noise and light at a mall may calm down quickly when taken outside. A child who is anxious about a social situation may be just fine if he's provided with clear direction and support. If an intervention doesn't occur or doesn't solve the problem, a meltdown is inevitable. While some people with autism merely yell or stamp, many really do become overwhelmed by their own emotions. Bolting, hitting, self-abuse, crying, and screaming are all possibilities. These can be particularly frightening and even dangerous when the autistic individual is physically large. When a full meltdown is in progress, it can be hard to manage. Safety, both for the person with autism and for others in the area, is most important. It may be necessary to move to a quiet room (sometimes this may require more than one person to avoid injury) until the meltdown is over. Ryan, Sara. ‘Meltdowns’, surveillance and managing emotions; going out with children with autism. Journal of the American Academy of Child and Adolescent Psychiatry. July 2013, Volume 52, Issue 7, Pages 679–688. Why Does My Autistic Child's Voice Sound Odd?